Some restaurants are known for certain iconic meals you just have to have when you visit them. Blue Plate Specials began as a way to offer a complete low-priced meal during the depression. Today they are more representative of a local culture or special food grown or found in the area. Sometimes they are recipes passed down through a family and have become iconic over the years. Below are some of my recent favorites. Tolbert's first opened its door in Dallas, Texas in 1976. 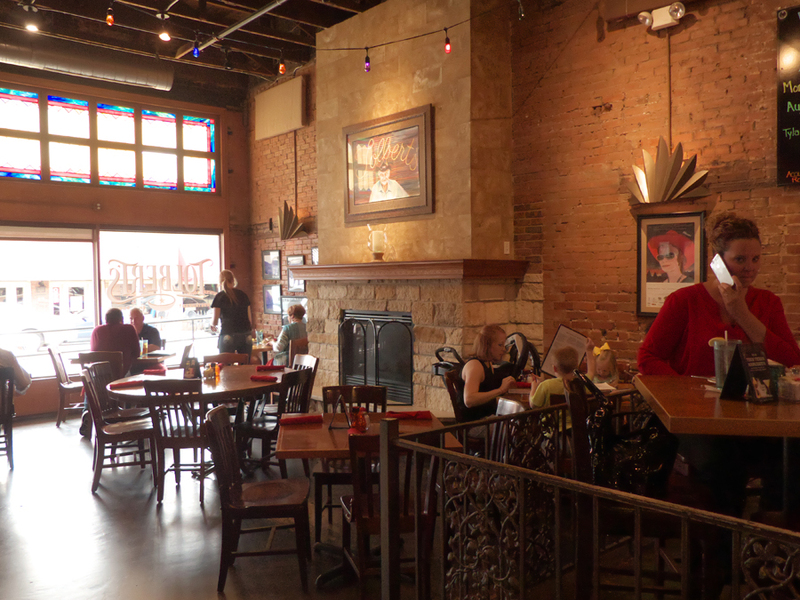 It opened and closed at several locations and today is firmly settled in Historic Downtown Grapevine, Texas since 2006. 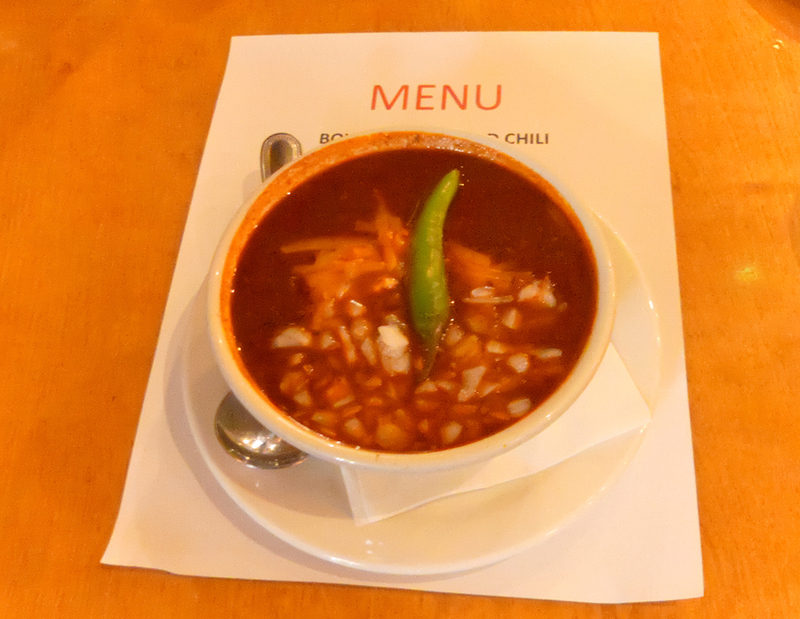 Their special is the famous Bowl of Red (chili con carne). Tolbert's founder, Frank X. Tolbert, was a journalist at the Dallas Morning News and wrote books on Texas history, novels and short stories. He was the co-founder of the Terlingua Chili Cookoff held in November, in the Big Bend Area of Texas. There are two things Brad Borne really loves; cooking and his favorite television program, The Andy Griffith Show. He and wife, Christine, get to combine those two since 1989 when they opened the Mayberry Cafe in Danville, Indiana. Naturally, their Sunday Special is Aunt Bee's Fried Chicken. Here you will have no problem listening to Aunt Bee's admonition, "You have to clean your plate!" 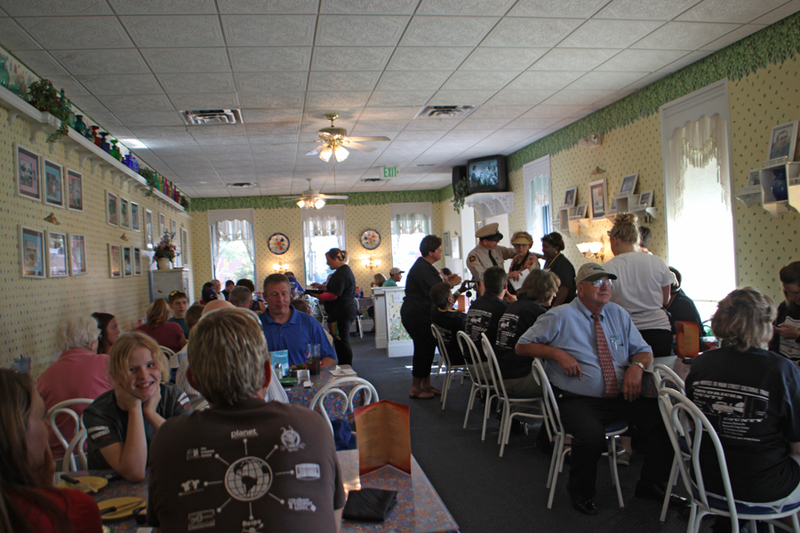 Mayberry Cafe is filled with memorabilia collected by Brad about the Andy Griffin Show. Barney Fife's patrol car is parked out front. When we visited, we met Aunt Bee and Barney. At lunch, Barney, AKA David Browning, told us of reenacting Barney. He is so realistic you can't help feeling you are talking to the real Barney. When a restaurant has been around for almost half a century, you know it's got to be doing something right. 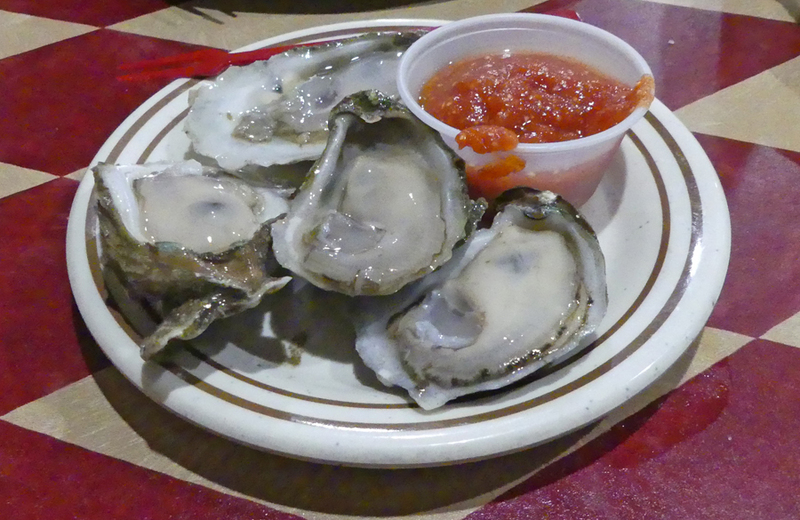 The something Hunt's Seafood and Oyster Bar in Dothan, Alabama has been doing is shucking and serving oysters. Sure they serve tasty seafood and steaks as well as lots of other things but they started with oysters back in the early 1960s when then owner, Billy Joe Reaves, decided to turn his gas station into a three seater oyster bar. Over the years Hunt's has expanded to a 200 seat full service restaurant but they still stay true to their roots with those huge oysters on the half shell. The night I visited they were packed but service was till great and friendly. If you are not a raw oyster fan, try their seafood platter. They offer a choice of two from shrimp, oysters, or scallops. I choose the shrimp and oysters and was not disappointed. For a different oyster choice, my companion enjoyed the fresh oysters on the half shell baked with lemon, garlic butter sauce and parmesan cheese. They were huge and succulent and I loved them. I saw a few appetizing looking po' boy sandwiches going to a nearby table that looked tempting also. Hunts serves a good variety of steak and chicken dishes but go for the seafood here. Preferably the oysters; It's their specialty. 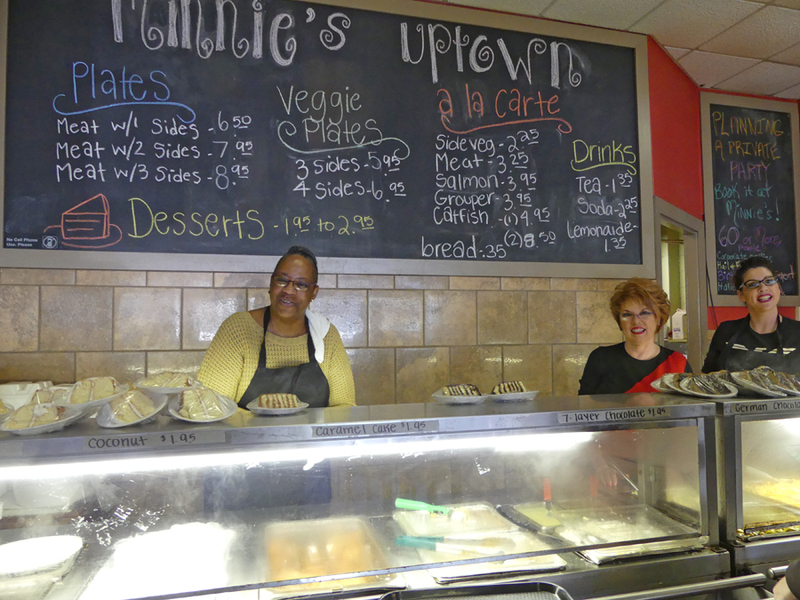 Columbus, Georgia has a big variety of restaurant of every kind but if you want a special home-cooked, fried chicken dinner, try Minnie's Uptown Cafe. It's a classic example of doing one thing and doing it right. Minnie's is a lunch only restaurant: but what a lunch! The original Minnie began the restaurant 24 years ago. Today her daughter, Rose Wiggins, and granddaughter, Melinda Weeks, carry on the traditions of home-cooked soul food type meals. 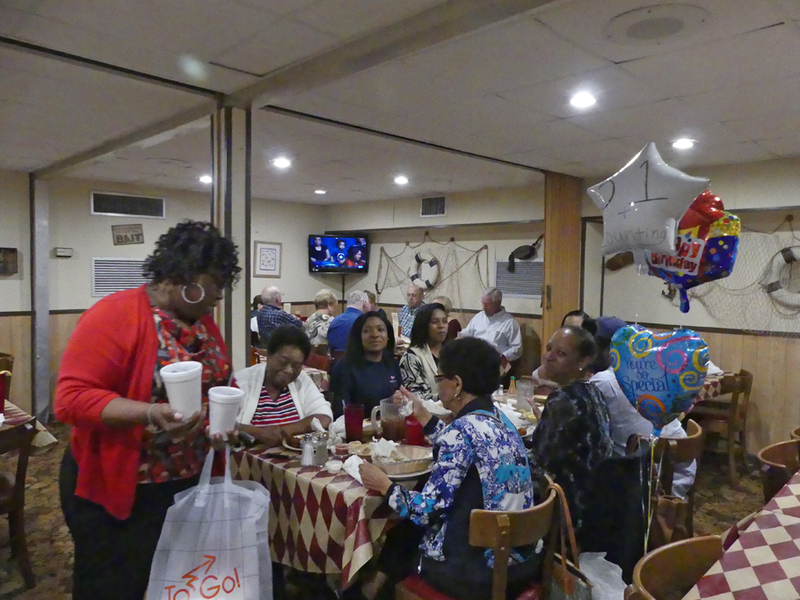 Turkey and dressing, chicken fried steak, catfish and other traditional dishes accompanied by generous helpings of a large choice of vegetables and Minnie's unforgettable hoecakes are staples. 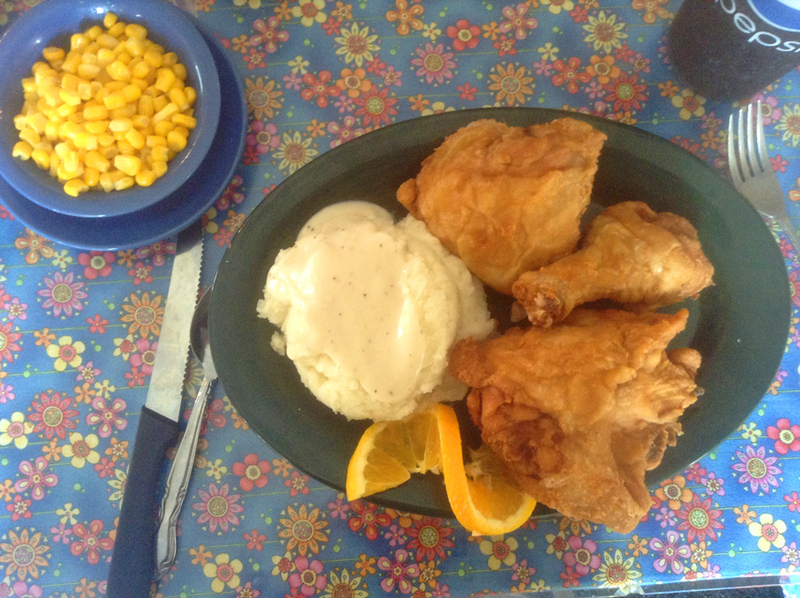 But the crowning jewel of home-cooking is Minnie's Crispy Fried Chicken. Melinda reworked their original chicken dish. "We use the healthiest oil on the market and that makes the chicken extra crispy. Then we season it and soak it in brine." She explained. 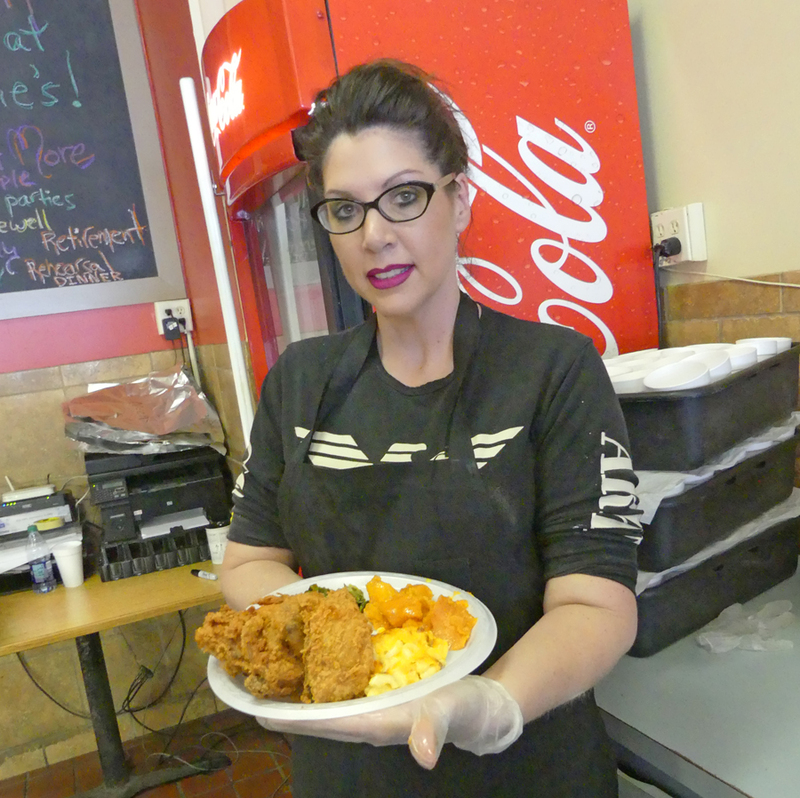 "It was already great chicken and we worked and developed it farther along." If the desserts like red velvet cake and pecan pie don't make you smile, Angelina, their long-time helper will make anyone feel good when she greets you with "Hello Handsome" to the male customers and "Hello Beautiful" for the female.